Gen. Elly Tumwiine, a Member of Parliament representing the Uganda People's Defence Forces (UPDF). Courtesy Photo. General Elly Tumwine, one of the most senior army officers, has supported the re-appointment of General Kale Kayihura as Police Chief saying the appointing authority is in better position to gauge his performance. It emerged early this week that President Yoweri Museveni has extended Kayihura’s contract as Inspector General of Police for another three years. 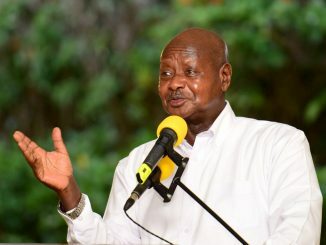 President Museveni in a March 14th letter asked the Parliamentary Appointments Committee approve three-year contract extensions for Kayihura and his deputy, Assistant Inspector General of Police Okoth Ochola. If he secures parliamentary approval and sees out his contract in 2020, Kayihura will have served as police chief for 15 years, having been appointed to the position in 2005. On Thursday, a group of activists wrote to the Speaker of Parliament, Rebeca Kadaga, asking her to decline approval of General Kayihura’s reappointment. The activists led by Lawyer Andrew Karamagi and Brian Atuheire who is an ethno-botanist submitted a 100-page petition to Kadaga in her capacity as Speaker and chairperson of the appointments committee of parliament. In the petition, the activists highlight a number of issues they say disqualify Kayihura’s reappointment. These include what they call blatant disregard for human life, dignity and violence that has continuously been “meted out against citizens in the name of maintaining securing and public order.” Others are criminalization of expression, association, dissent and suppression of alternative thought. Karamagi came in the limelight in 2014 when he grabbed and shredded the speech of the then Attorney General Peter Nyombi during a judiciary function at High Court in Kampala. Kayihura’s tenure has been marred with clashes with opposition politicians who accuse him of working to please the president and being a ruling NRM party cadre. Police, under the leadership of General Kayihura has also been criticized for failing to stop gun violence and organised crime targeting high profile people such as the Muslim clerics. 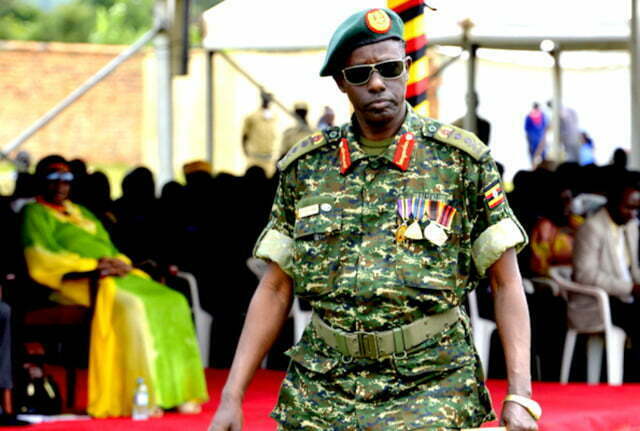 But General Tumwine, a Member of Parliament representing the Uganda People’s Defence Forces (UPDF), told this publication that there is no logic in opposing the appointment of Kayihura arguing that the appointing authority is in good authority to know who can better serve in the security as head of the police. Last month, a section of Civil Society Organisations and the human rights activists released a joint statement in which they expressed concern over the killings, raids on people’s homes and gun violence by unidentified thugs, which continue to claim the lives of citizens. 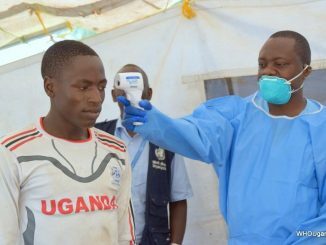 Gen. Tumwine however says that the use of guns and terror threats is not unique to Uganda. He noted that security is a continuous effort and that citizens should be cautious of their security. He warned the thugs who continue dropping anonymous threatening letters to stop what he called false confidence. Tumwine was a member of the first 26 men that joined Yoweri Museveni for the February 6th 1981 attack on Kabamba Barracks in Mubende District, launching what would become a five-year brutal war that brought then 42-year-old Museveni to power in January 1986. In fact, according to Museveni in his book “Sowing the Mustard Seed”, it was Tumwine who fired the first bullet of the war. Kayihura joined the rebel army later in 1981.